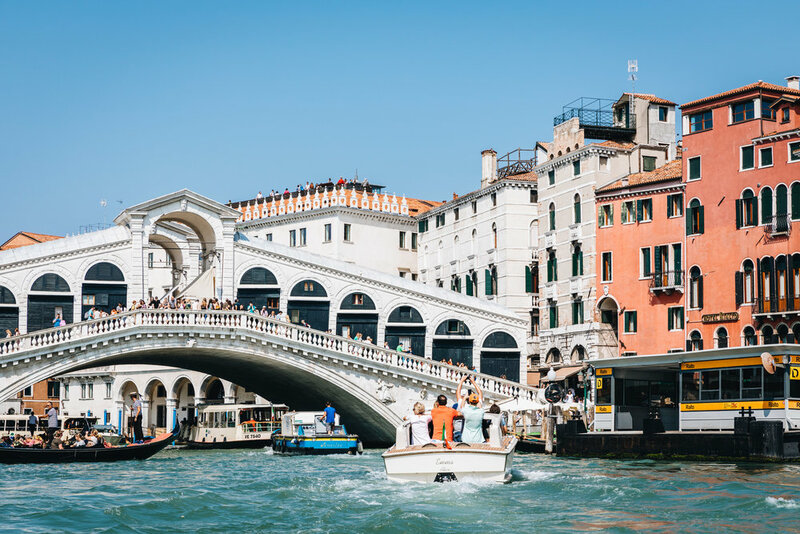 After the wedding in Bordeaux, France, my family and I made our way to Venice to begin the Italian chapter of our European vacation. 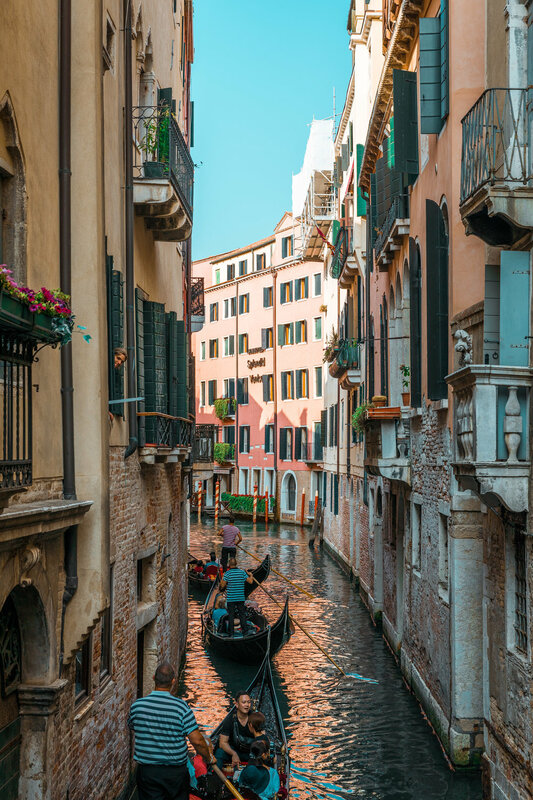 Located in the Veneto Region of north-eastern Italy, Venice is a UNESCO World Heritage Site that receives over 30 million tourists a year. 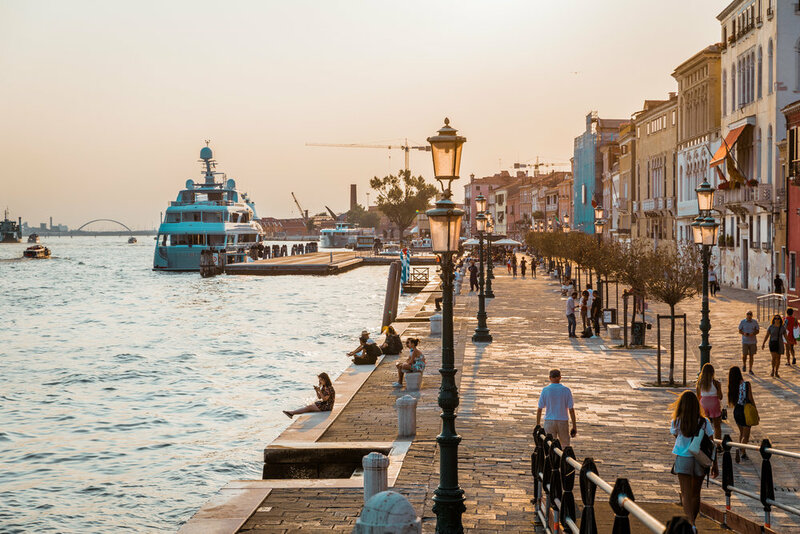 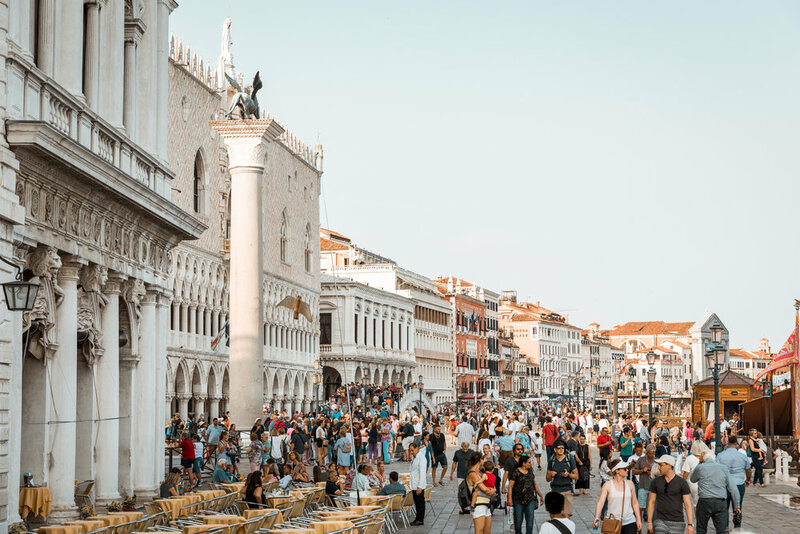 The city itself is home to only 50,000 people - the lowest population in centuries - but the exorbitant amount of tourists makes Venice a lively (and crowded) place. 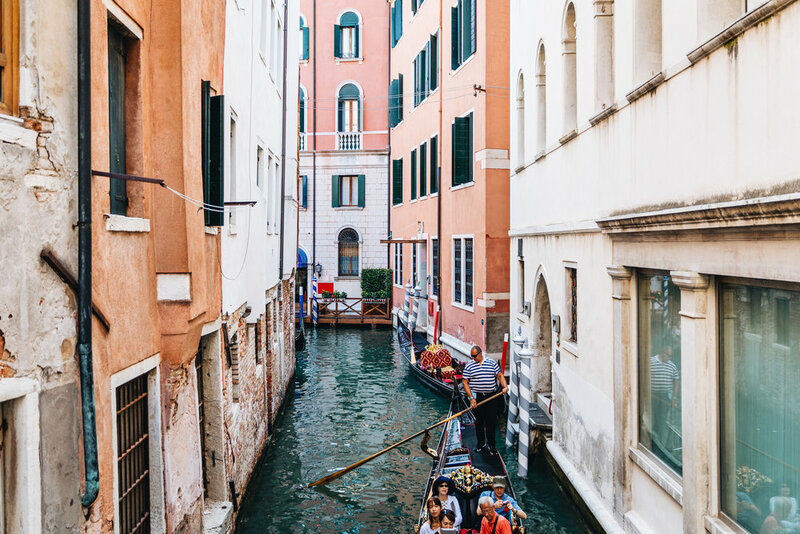 Looking beyond the tourists, it's fascinating to observe a city on water and all the nuances of such a place; the traffic jams in the canals, the public services on boats, and the modified infrastructure. 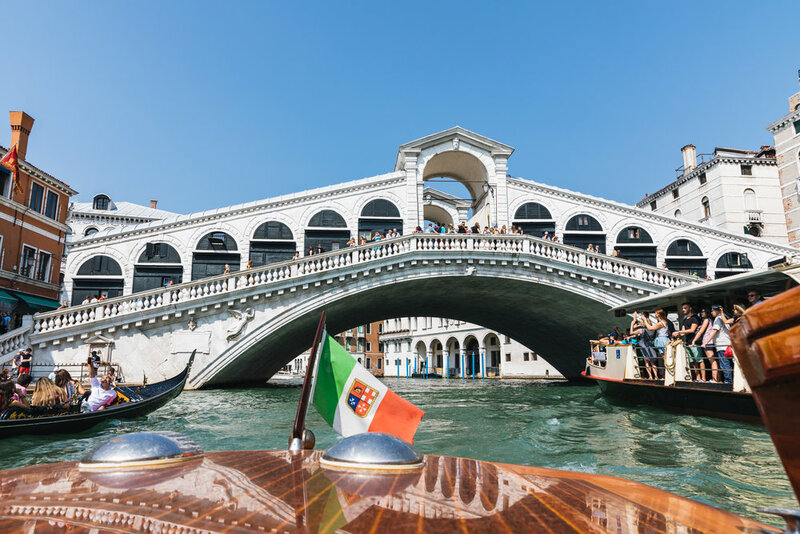 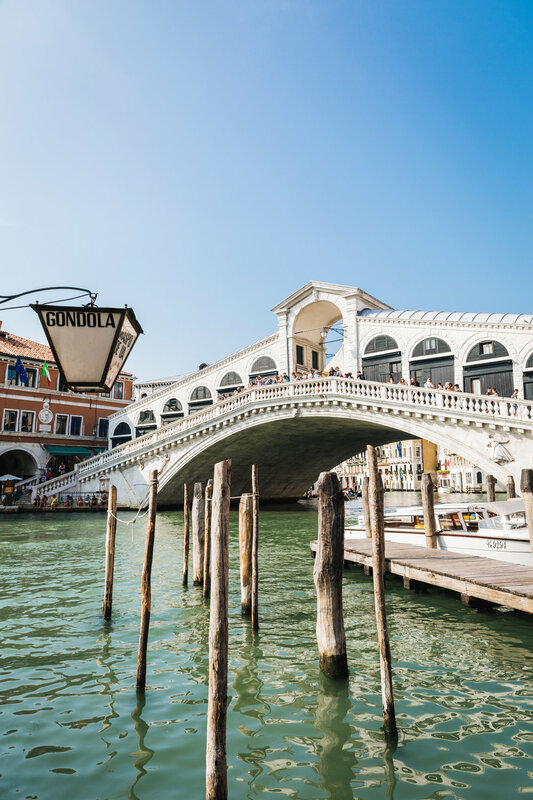 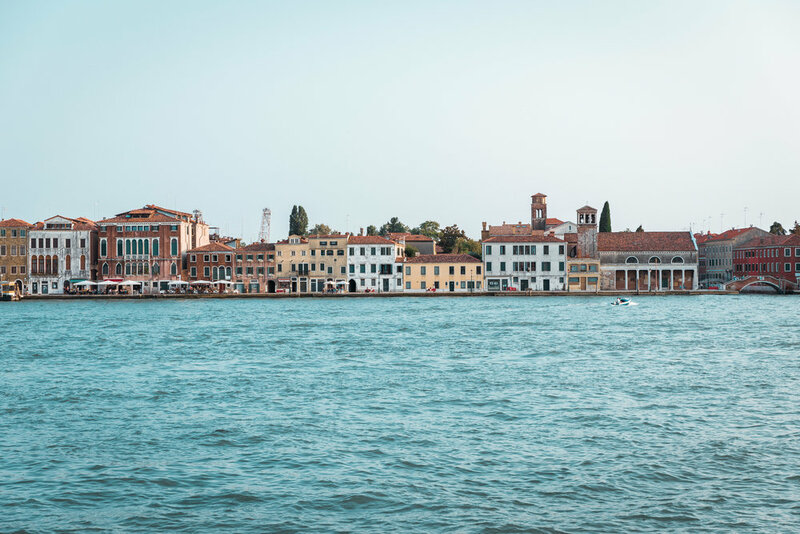 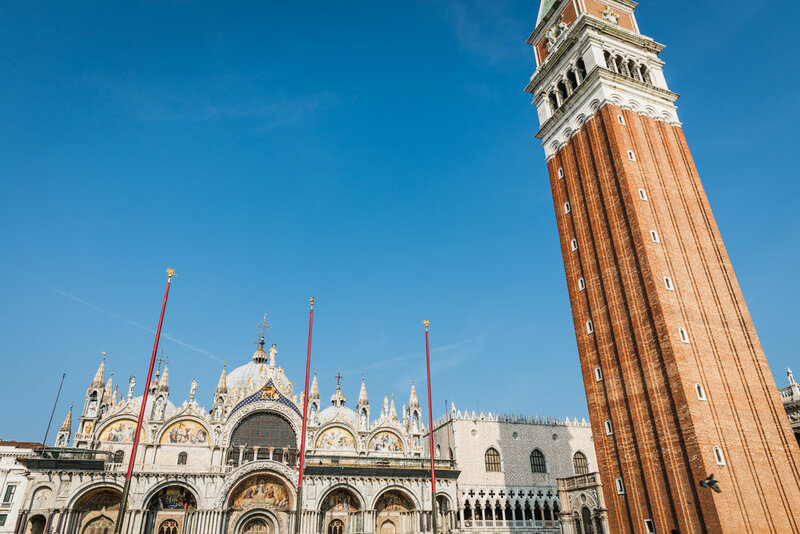 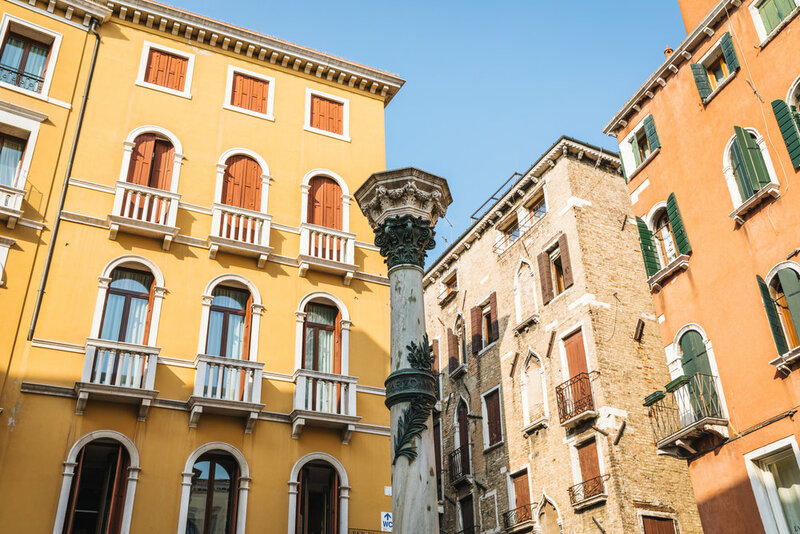 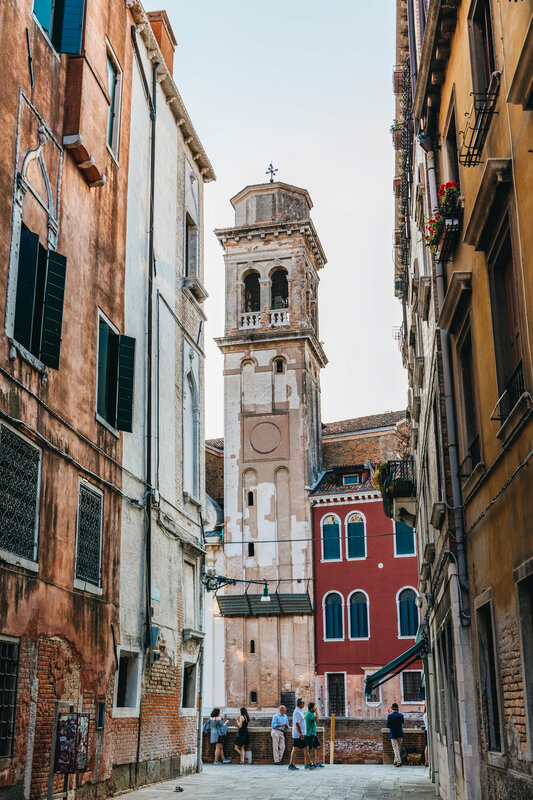 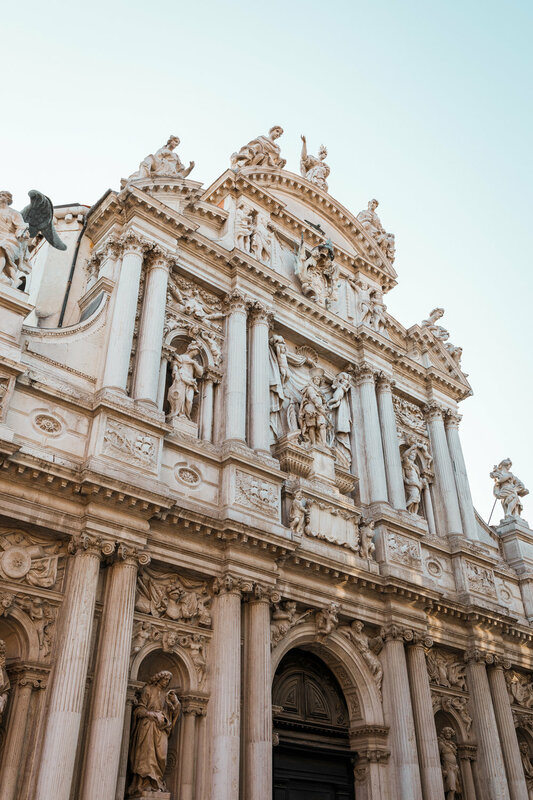 The architecture in Venice is primarily Venetian-Gothic inspired by Byzantine and Moorish styles of the 14th century, creating a skyline of pointed arches, ornate spires, and elaborate decoration. 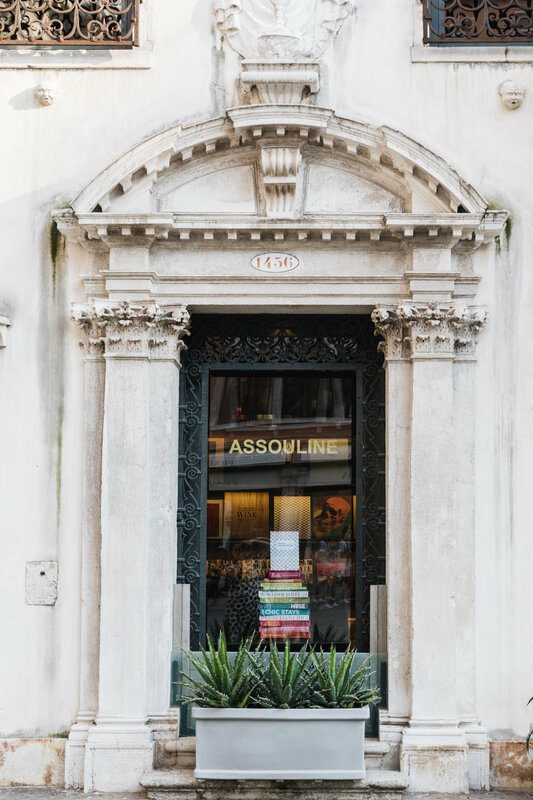 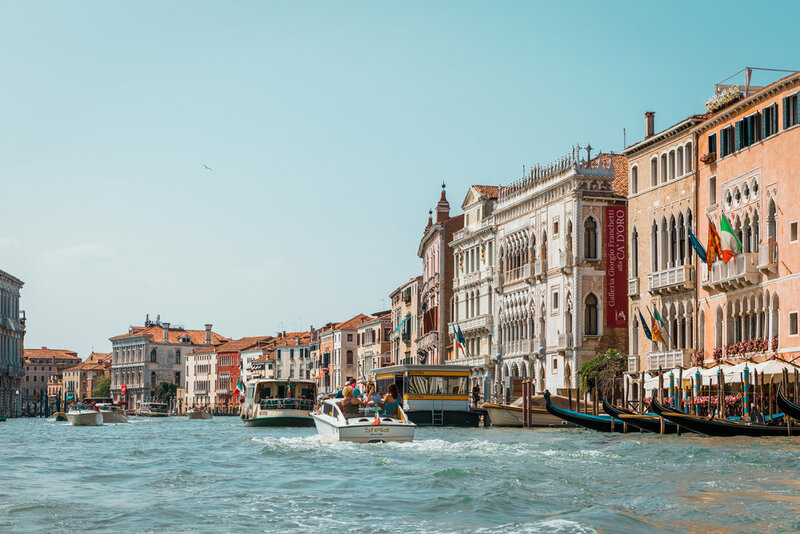 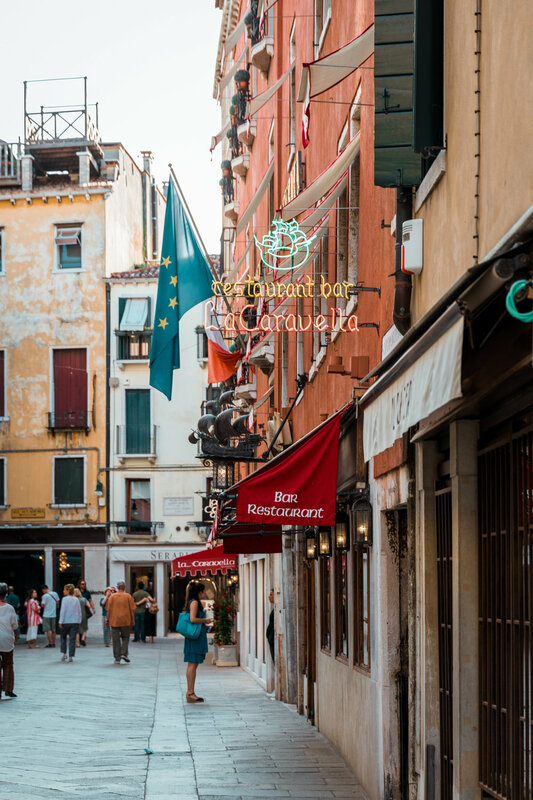 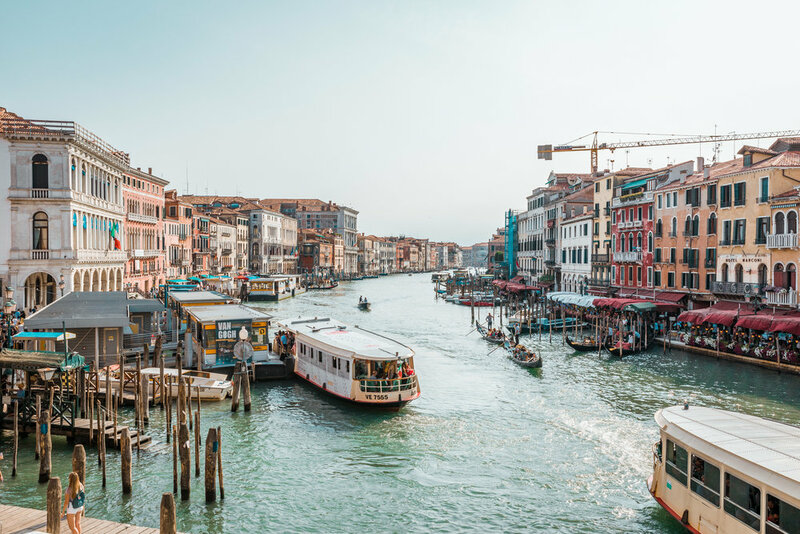 Venice is truly a photographer’s dream; although we were only in the city for an evening, a few hours of exploring was more than enough time to fill my memory card with colourful images of the floating city.